Why is CRO failing to get traction in the boardroom? Why is it that Amazon Prime converts 74% of the time on Amazon.com and yet the average Ecommerce retailer only converts 3.1% of the time according to research by Millward Brown Digital? Even non-Prime customers convert 13% of the time. Bryan Eisenberg, CRO expert and thought leader suggests that Amazon’s secret is to do with developing a culture of customer centricity and experimentation that is deeply embedded in the culture of the organisation from the C-suite level down. Given the success of Amazon with applying the principles of CRO to drive business growth, why is it that in many organisations there is little, if any, engagement with CRO at the top level of management? This is the conundrum that the book ‘The Growth Strategy That’s Being Ignored’ seeks to answer. Although this is a short read, Paul Rouke, from CRO agency PRWD has managed to gather contributions from 17 global CRO thought leaders, including Chris Goward , Roger Dooley, Brian Massey, Peep Laja, Bart Schutz, Oli Gardner, Talia Wolf and Tim Ash. These are people with a huge amount of experience of successfully applying CRO strategies in large ecommerce organisations. The book focuses on the key reasons for the frequent failure of organisations to fully benefit from CRO and why optimiser often find themselves stuck in the “trough of disillusionment”. 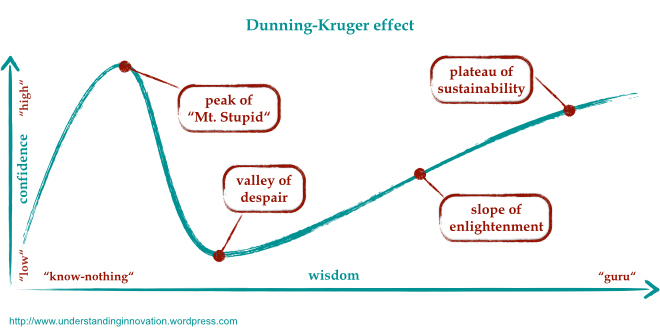 I’ve previously written about the Dunning-Kruger effect and how initial success with CRO often creates overconfidence in the optimiser’s skills and abilities to create successful tests. But, what is the cause of the despair that many CRO teams experience? A number of reasons are given for the lack of adoption of a CRO philosophy at the executive level, including the name and a lack of change management skills in the team. But the most frequent cause mentioned is the perception of CRO as a short-term tactic rather than a strategy for long-term growth. As a result CRO thinking is often not embedded into the culture of the organisation from the C-suite downwards. This automatically relegates CRO to a tactical solution to short-term problems that can be handled by a silo in marketing or some other department in the organisation. 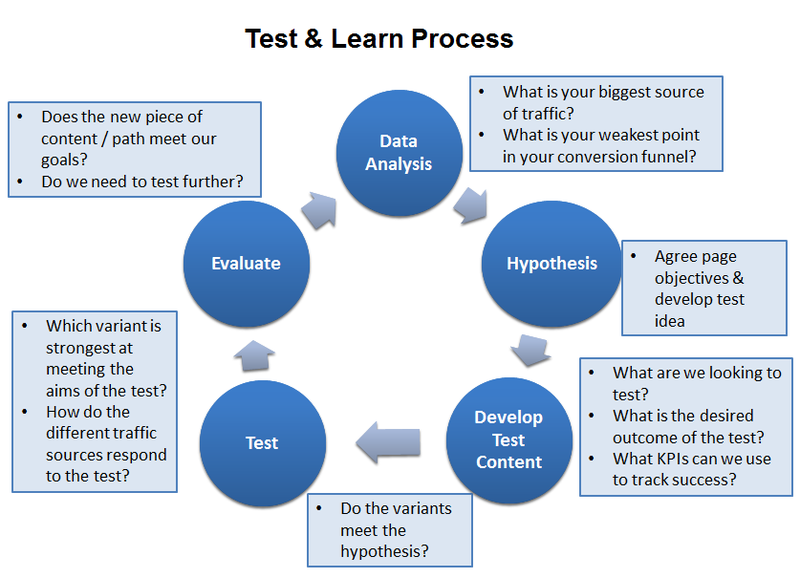 What you won’t get from this book is any insight into the detailed process of CRO or tips for experiments to increase your conversion rate. This book is solely about why CRO has failed to be successfully embedded into the culture and processes of many digital organisations. I have to agree that this is a problem. Being an optimiser in an organisation where there isn’t a culture of experimentation and senior management support is limited can be soul destroying. It feels like there is a constant battle to get resources and co-operation from product, MarComs and marketing. As a number of contributors mentioned you need to employ change management skills and engage internal stakeholders first before trying to communicate your strategy. The problem outlined in the book is clearly with communicating the benefits and implementation of CRO to executive level management. As such this is an ideal read for C-suite management and CRO managers seeking to establish a culture of CRO within their organisation. The book should be a wake-up call for many CRO specialists and executives who are allowing their sites to fall further behind the leaders in customer centricity and experimentation. According to RedEye companies spend on average $92 on driving traffic to their website and only $1 to convert those visitors. This is not a sustainable approach because sites will increasingly be squeezed out of the market by the likes of Amazon, AO.com and other companies that recognise the benefits of a strategic approach to CRO. I firmly believe that with the development of artificial intelligence based optimisation tools, such as Sentient Ascend, this time is rapidly approaching. Such technology is speeding up the optimisation process by allowing massively complex multivariate testing. Companies that embed CRO into their culture as a strategy for growth will exploit these tools much more effectively than organisations using CRO as a tactical tool. So maybe the book should be re-named “The Growth Strategy That You Can’t Afford To Ignore”? As I have already mentioned the book is on the short side and with such a star-studied list of contributors you might have expected more detail on how to implement a strategic approach to CRO. However, the contributors do make some very valid points and there are plenty of other books to read if you want advice on the optimisation process. Given the potential audience of CEOs and CMOs brevity is also a bonus. They won’t want to read anything too detailed or long about what they perceive to be a specialist subject. So my advice is buy the kindle version for your smartphone or e-book reader as it’s only £2.99. For more details you can go to a dedicated landing page about the book.